Animal manure is the basis for most organic fertilizers and it breaks down into chemicals every plant needs: nitrogen, phosphorus and potassium. Each type of manure has a different chemical make up, because of the different foods that animals eat. 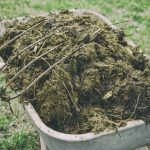 If you have soil that’s in great need of nitrogen, turkey manure compost is one of the best choices you can make. If you have a turkey grower in the area, you may have a ready supply of a valuable addition to your garden and compost bin. Let’s learn more about how to use turkey litter in the garden. Because of the high nitrogen content, using turkey manure in gardens can be a bit tricky. Unlike straight cow manure and some other manures, if you fertilize plants with turkey manure, you run the risk of burning tender new seedlings. Luckily, there are a couple of ways to get around this problem. The simplest way to make turkey litter safer for your garden plants is to add it to your compost pile. The high nitrogen content in the turkey manure means that it will break down the compost components quicker than other composting ingredients, giving you a rich source of garden soil in a short amount of time. Once the turkey litter is mixed in with the other compost elements, it will enhance the mix without being overly nitrogen-rich. The other way to use turkey manure in gardens is to mix it with something that uses up some of the nitrogen before it gets to your plants. Mix together a combination of wood chips and sawdust with the turkey manure. The nitrogen in the manure will be so busy trying to break down the sawdust and wood chips, that your plants won’t be adversely affected. This results in an excellent soil amendment ingredient, as well as a great mulch for retaining water while slowly feeding your plants. 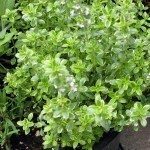 Now that you know more about fertilizing plants with turkey manure, you’ll be well on your way to having the lush garden you’ve always dreamed of.